There’s something reliable about good ol’ slot machines. Think about it. They’re sturdy, cough up big bickies, and all those bells and whistles make playing for your money’s worth all the more interesting. If anything, they’ve become even more entertaining in video form – still enigmatic, but now playable on your laptop or phone. And with anything enigmatic, there’s bound to be a slew of myths filling people’s heads with their dirty little whispers: weird tales and misconceptions that just don’t add up. 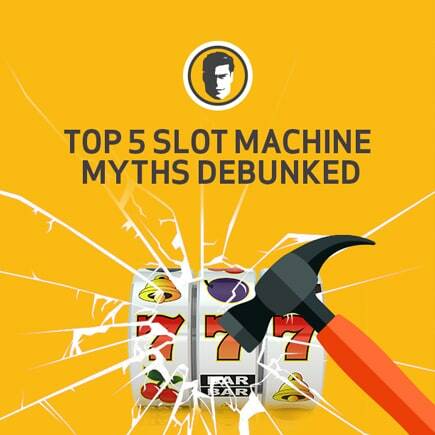 Despite what your Nana told you, slot machines won’t actually dish out the dough at any predetermined frequency. Each spin is not contingent on the last and the machine is certainly not preprogrammed to churn out wins. So don’t think that you’re ‘owed’ a payout after you’ve blown your bankroll. No, a secret cabal of staffers is not screwing with your play. While servers are prone to tampering, most machines can’t be messed with directly. Someone would have to get into the machine to rejigger stuff physically – fat chance of them doing that when you’re right there. As for the newer slots, Nevada says that a machine must be idle for at least four minutes before getting an operation. You might think that casinos like to put their ‘loose’, paying-out machines by the door to lure customers into the addictive joys of exhausting their bankrolls but, sorry mates, that’s another misnomer. Truth is, casinos like to place their newer games by the door so they get more traction. Ok, no. The illuminati are not poisoning your water supply and slot machines are NOT stingy during the day. Casino owners don’t want to alienate anyone, especially their daytime players, so they wouldn’t have any reason to guide players to tighter games. False. Enjoy your bloody rewards card, why else do you have it? Casinos aren’t going to turn on you because you’re earning rewards for your play. If anything, that’s just more incentive for you to play more while the casino gods rub their palms together and laugh maniacally. Foolish mortal. Get on the tweeter, mate! You did it! Good on ya.